Consider partnering with a local food truck. 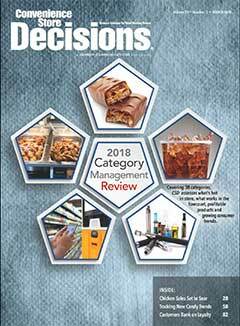 In today’s increasingly competitive market it is crucial for c-store retailers to move into foodservice. But not all stores have the capacity for a foodservice operation. If you want to bring in foodservice but lack the space at some locations, consider partnering with a local food truck that might drive business by parking in your lot and serving customers during key lunch or dinner daypart hours. Do you have an idea to share? Email Senior Editor Erin Rigik Del Conte at [email protected].